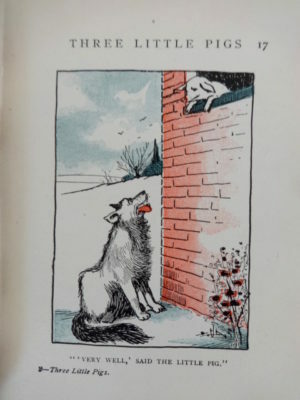 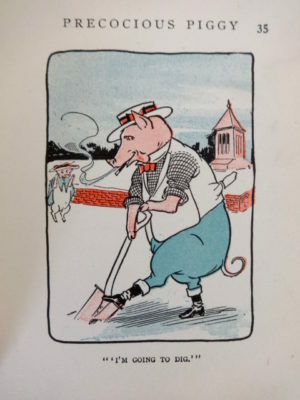 Here is a wonderful copy of Three Little Pigs, copyright 1904 by Henry Altemus. 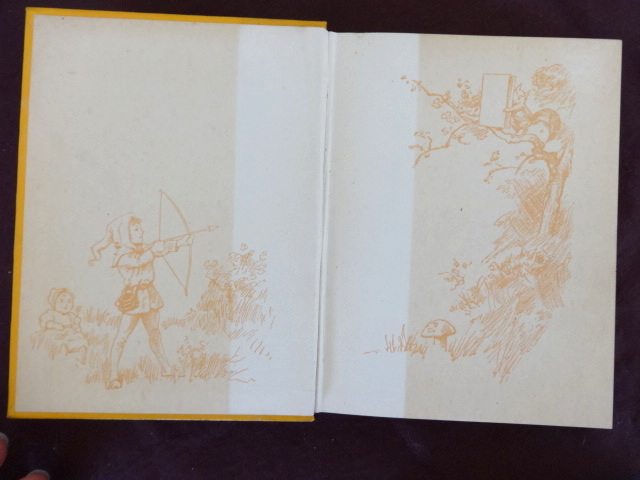 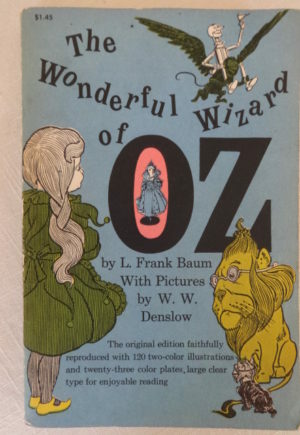 With 40 very cute illustrations by Wizard of Oz illustrator John R. Neill, most in color. 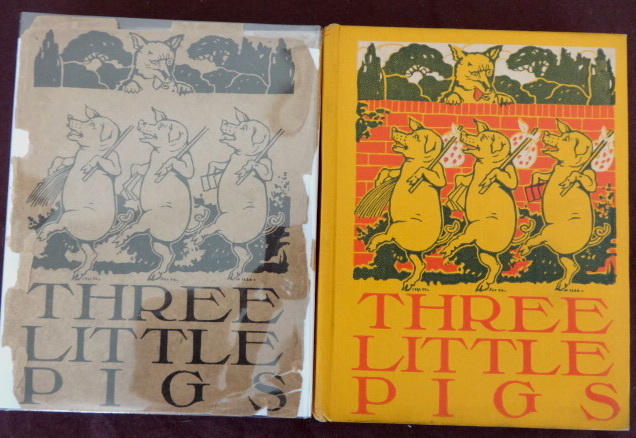 Also includes “Precocious Piggy and Brave Little Tailor”. 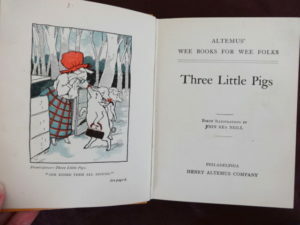 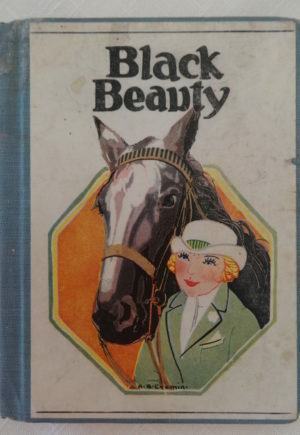 One of Altemus’ Wee Books for Wee Folks series, book in small format, 94 pages, with the rare dust jacket!!! 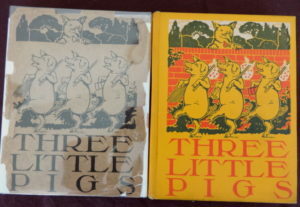 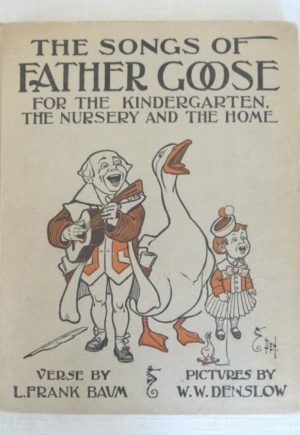 HenryAltemus.com says this yellowish-orange Three Little Pigs, with orange endpapers by Neill, is early Format IIa, printed between 1904 and 1908. The dust jacket is fair, with the spine missing and the flaps separated but present. 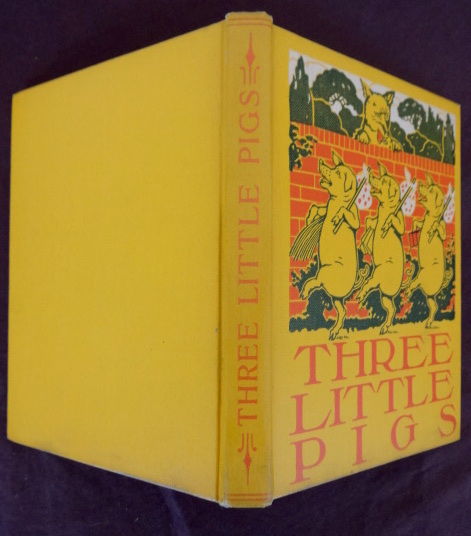 The illustration of the three clueless little pigs w/ knapsacks and the wolf looking over the fence (licking his lips) is priceless.